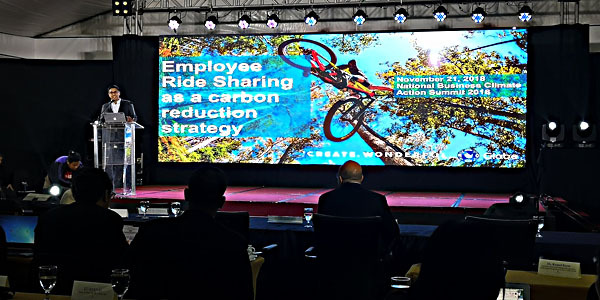 Globe Telecom has developed an employee ride sharing strategy that has so far reduced the company’s carbon emission by at least 584 metric tons which is equivalent to planting 4,133 trees. Speaking before participants to the National Business Climate Action Summit 2018 at EDSA Shangri-la recently, Globe Director for Operational Risk & Business Protection (ORB) Raymond Martin Aguilar said that the company recognizes that it can best serve the country by ensuring that it operates responsibly and creates positive environmental impact while at the same time, transforming the lives of people with technology and mobile digital solutions. Globe Telecom employees also embrace this mission by patronizing carpooling programs to reduce their own carbon footprint. “At Globe, in anything that we do, we usually refer to the experiences of our employees and customers, how we can improve and enable ourselves through digital innovations, and how we can incorporate sustainability in our business. Our alternative transportation services make employee commuting easier while also reduce the company’s carbon emissions. We enable them through the use of digital innovations which make these services more accessible,” he said. Starting with Globe IKOT on September 2010, Globe was able to inspire employees to use the company shuttle service when attending business meetings at the different Globe offices in Manila and Makati. This does not only discourages the use of personal vehicles and individually assigned service vehicles, but also drives down travel-related expenses. The service was later on upgraded to Loop, a mobile web-based solution that provides an easier and more convenient way for employees to avail of the free shuttle service without waiting in line. Loop allows employees to simply reserve a seat, digitally plan their travel, and monitor the vehicle’s whereabouts via map, thus, allowing them to remain productive until their scheduled departure. By having more people use one vehicle, Globe was able to save 102.1 metric tons of CO2 emissions from July 4 to September 30 2018, equivalent to the planting of 2,646 tree seedlings grown for 10 years. 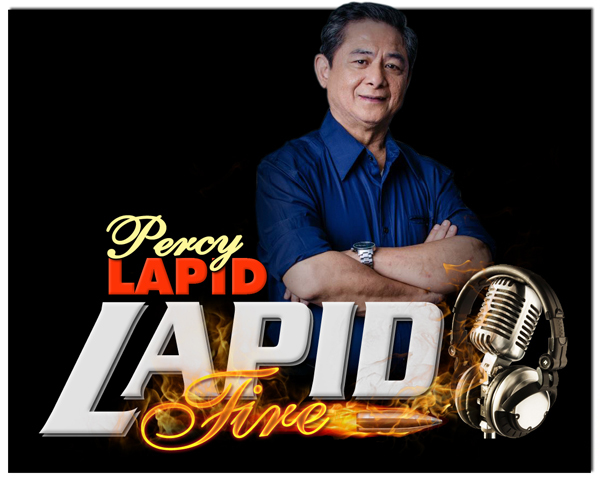 To further promote carpooling, Globe also launched Pasabay Pilot in March of 2017. The service, which is exclusive to Globe employees, addresses the issues of security, traffic congestion, high gas consumption, and expensive parking fees by allowing Globe employees to arrange a ride together when going to the office or leaving for home. It also incentivizes ride sharing between employees by providing free parking slot for the host vehicle. In its 2.5 months of operations, Pasabay Pilot was able to save a total of 214,000 kilometers with an estimated 84% or 287.44 metric tons reduction of CO2 emissions. This is equivalent to a whole year use of electricity of 15.3 homes, 35.6 tons of recycled waste, and 2,646 tree seedlings grown in 10 years. Aside from Loop and Pasabay Pilot, Globe continues to look for ways to reduce its impact to the environment and support a low carbon footprint. This is in line with the company’s commitment to UN Sustainable Development Goals No. 11 -make cities and human settlements inclusive, safe, resilient and sustainable; and No. 13 – take urgent action to combat climate change and its impacts.